We often think negotiation, bid, bargain, deal etc are merely commercial terms we find in business management books. It is far from true. We, in fact, negotiate all through our life whether it is your marriage or school admission for your daughter. We negotiate for a better social acceptance and position in social circles. We negotiate when we apply for a job. Truly negotiations are part of our everyday life. Sometimes we negotiate for things even unknowingly. The ideal negotiation is the one in which both the parties are comfortable from beginning to end and they feel they have achieved something. It calls for a lot of analytical thinking, good sense of the environment and knowledge of the expectations and aspirations of the other party to come into a successful negotiation. It calls for special skills and that is the reason big corporates spend a lot of money to develop such skills among their executives. Good negotiations foster a win-win situation. That’s why management expert Nabil Jamal says “In a negotiation, we must find a solution that pleases everyone because no one accepts that he must lose and that the other must win… Both must win!” It makes everybody happy and enthused. Poor negotiations leave a lot of bad taste in the mouth. It can bring about heart burning and resentment. It may cause one or both parties to be left out thinking that they have been taken for a ride. Chester Karass, an author who wrote many books on negotiation, narrates an anecdote of the bear and the shivering man. The man was very cold and the bear was very hungry. They sit in an empty cave and negotiate. A settlement was reached. When they finally emerged the man was wearing a fur coat and the bear looked well fed. Negotiation is a multifaceted skill. Communication and excellent verbal skills are primary requirements. It is not like a little girl proudly and excitedly presenting her new doll. The negotiator needs to explain the technicalities, added advantages and its USP. Negotiator, therefore, needs to be open-minded, compromising, trust-building, competitive, initiating, patient, listening, with an ethical backbone, analytical ability, product knowledge, and the art of convincing. If you are selling a commercial product or service, it is necessary to do some research on the other party’s services, products and requirements. One must be well informed also about the other sources available to the next party and prevailing market conditions. Try to find out how well the competitor’s products or services are finding acceptance in the market and what reasonable offer price you could make. The negotiating seller should also understand the customer’s needs and pocket size. Similarly, the buyer should understand the costs involved and the reasonable margin the seller is expecting. Negotiation is a two-way ride and it depends on mutual understanding. It is a good idea to ask questions in a non-offending manner. Asking the appropriate questions will help in understanding exactly what the counterpart expects an outcome of this dialogue. One needs to be patient enough for a good negotiation. It is not always that the other person will accept all your suggestions immediately. A lot of patience and friendly persuasion only will bring results. Be sure to show up on time and never say I have to catch the flight and am in a hurry. Never leave the impression that you don’t care for the deal to take place. It is a precondition that you be confident and well poised for an effective negotiation to materialize. While talking you may get a gut feeling that the deal is losing out but never be perturbed and never let your desperation be evident to others. There is always then a possibility for the other party to take advantage of your helplessness. Appear unaffected by the adverse situation and say ‘I hope you will realize my offer is the best for you’. Look like devastated and you are a gone case. Take a tea break and come back with equal vigour. Otherwise, it would be very obvious that you feel there is no way you could afford to miss this opportunity. Always maintain your integrity and decency to gain trust. Never make derogatory comments about competitors, Govt., other customers etc. there is always a civilized way to part as friends even when the deal is fizzled out. Never fume and fret and exhibit bad temper. Remember tomorrow your man may come up with another big deal! 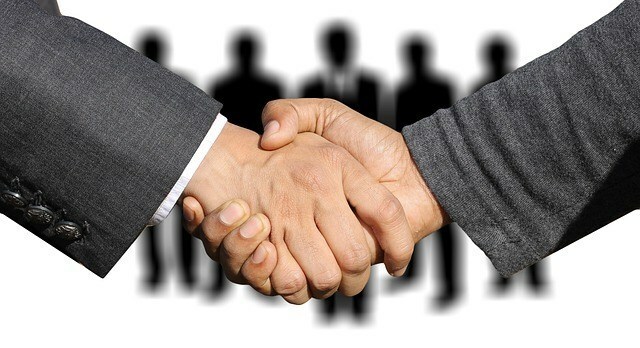 We have seen that negotiation is an interaction between two parties, each one trying to present his best-selling idea to come to a consensus which would be advantageous and appealing for both. In a war like the situation of conflict, criticism and misunderstanding, we gain nothing; it merely adds to stress and anxiety. One has to be reasonable and be willing to compromise to the maximum possible and try to arrive at a mutual agreement that suits both. Negotiation skills are not inborn; it is an acquired quality and skill. Neither have you needed prolonged university studies to acquire them. Learn from your own experience and those of other negotiating teams. Be tactful, knowledgeable and patient. Peep into the mind of your man on the other side of the negotiating table, his needs, and expectations and arrive at that plateau which is fine for all, never forgetting the cold man and the bear story. Presently Truwin is working as a Bids & Project Manager with the world’s largest cable manufacturer- Prysmian Group, Singapore. After his MBA from Brisbane QUT Australia, Truwin was selected as an International Talent by Aker Solutions, the world leader in Under Water Oil & Gas Exploration Equipment’s. He has also worked for ICICI Bank, FMC Technologies and has wide experience with multinational corporates holding management positions. His travelogue”Norway, European Nadukalile Saudrya Rani” is published by Ascend Books. Previous articleHOW TO CHOOSE THE BEST CATERING PACKAGES FOR A SUCCESSFUL EVENT?